This blog post is recording my journey on proof of concept development on ionic 4 capacitor & PWA development in December 2018, just note down some obstacles I faced or founding in the journey, and this is not a tutorial. Although Progressive Web Apps (PWA) are installable without app store, as of today business requirement may still need the distribute channel via app store. With ionic (UI) and Cordova framework, one single code base can serve native apps and web apps together. ionic 4 Capacitor or Stencil Capacitor is still in Release Candidate in Dec 2018, and 1.0 production in 2019. Integrate with Angular. Cross platform: iOS, android, Web, Electron (win & macOS) Stencil: web component (similar to ploymer), reusable, independent (angular, react, vue) selected Capacitor as per requirement. Toolings: Intellij Idea (as subscribed), or Visual Studio Code (free) Installation follow the official documentation. run $ ng build to create /www folder Creation on iOS & android projects is smooth and easy. 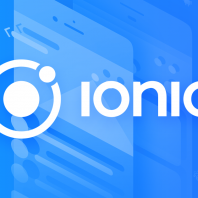 ionic team really did a great job there. However, PWA isn’t that user-friendly. npm install @ionic/pwa-elements only adding UI component. PWA services worker angular-worker: basic usage, npm install -g @angular/cli ; ng add @angular/pwa ngsw-config.json. workbox: advance usage. pre-caching, background sync …etc very difficult to setup, due to angular builder. Need to manually add “glob”: “workbox-<Component>.<dev|prod>.js” to angular.json . See https://golb.hplar.ch/2018/06/workbox-serviceworker-in-angular-project.html for more details Development $ ionic server –> live reload on source folder, so PWA doesn’t work as pre-caching & routing info in /www (build) folder, not src/service-worker.js edit package.json, add "dist": "ng build && workbox injectManifest" Then run $ npm run dist to build. Then run $ npx cap serve alternatively, http-server can be used, that will use /www file. e.g. http-server www -c-1 -o -a -S localhost -p 8200 HTTPS: PWA works on localhost, 192.168.x.x . Others need HTTPS. It won’t work on non-SSL, took some time to find out, as office wifi is not Class C network. Yet it runs okay at home.